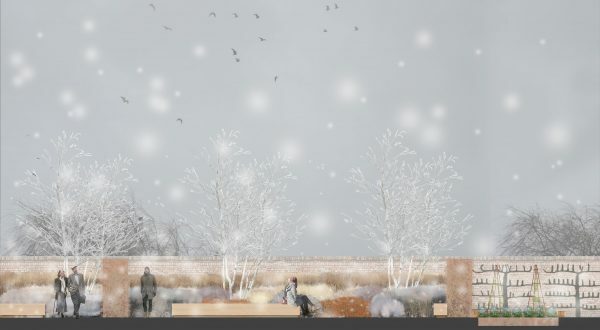 CW Studio was delighted to be part of the design team, led by Feilden Clegg Bradley Studios, that was shortlisted for a RIBA competition for the New Alder Centre Building for Bereavement Counselling within the Alder Hey Health Park Liverpool. Our aim was to create a setting for the new Alder Centre that was rooted in the landscape. Visitors arrive at a woodland grove. Mown paths lead to glades with seating, creating special places of light and shade. A playful route through the trees is created with cut log stepping stones. 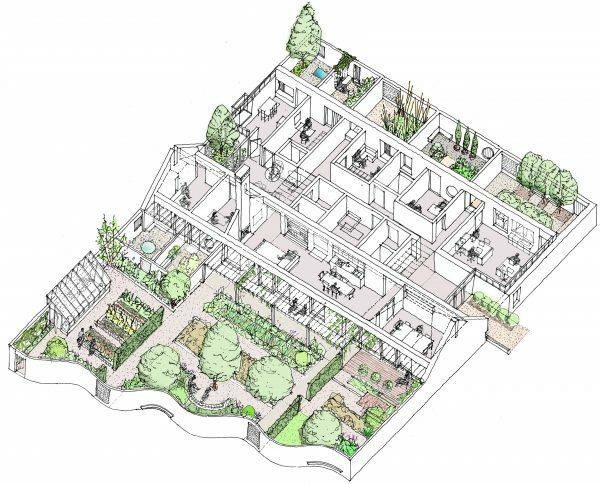 A walled garden is discovered enclosing the centre. 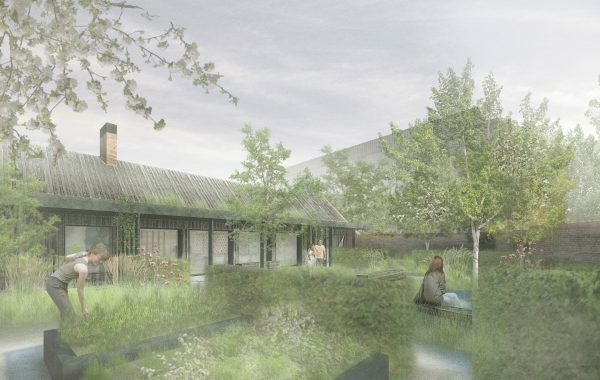 The garden creates a protective, safe and sheltered space, a quiet, reflective green refuge that connects people with nature, offers a place to grieve and escape, and is a setting for a range of activities that support the Centre. 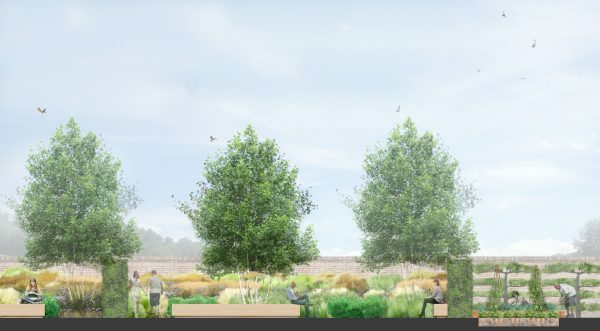 Planting is naturalistic, echoing the meadow outside the garden and bringing a connection to nature. Swathes of gauzy planting create translucent screens allowing privacy and enclosure without cutting you off from the rest of the garden. The kitchen garden, with potting shed, provides a place for therapeutic horticultural activities, while a cutting flower bed brings colour and delight from planting seeds. Flowers can be cut and placed in simple vases within the building.